Harvard Dean Rakesh Khurana, who requested the term be changed last year. Harvard University announced Wednesday that the heads of its residential houses will now go by the name "faculty deans" instead of "house masters," a decision that has been criticized by many students and alumni. The decision to scrap the historic title was made shortly after some students complained that the word "master" evoked slavery. Critics have pointed out that the title is rooted in European terms for teachers or heads of household that date back centuries. In an email announcing the new title to Harvard community members, Dean Michael Smith said that the decision was made in the spirit of promoting an "inclusive community" at Harvard. He celebrated the step, while acknowledging that it was taken despite evidence of any connection between the original title and slavery. "I want to emphasize that a decision to change does not necessarily mean that what came before was wrong. I have not been shown any direct connection between the term House Master and the institution of slavery," Smith, dean of the Harvard faculty of arts and sciences, wrote. "The academic context of the term has always been clear." 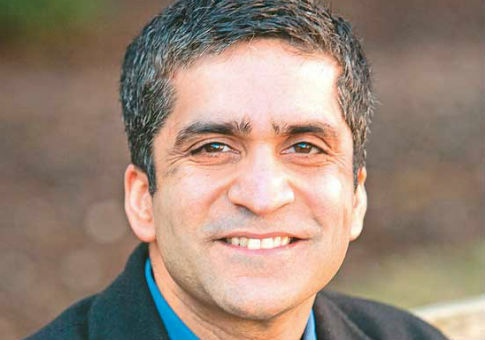 The decision to replace the "house master" title was confirmed by Rakesh Khurana, Harvard’s undergraduate dean, in December after some students alleged that it had connotations of slavery. A group of Latino students demanded the title be changed in a letter to administrators last November. The letter also called for the school to designate one floor of a newly-renovated campus center as a space for students of color and require administrators, teachers, and university police to submit to "cultural sensitivity training," according to the Harvard Crimson. Khurana, himself a house master, admitted late last year that he did not feel "comfortable personally with the title" and that the new term for dorm heads would be rolled out in 2016. Similar debates around the title have occurred at Yale and Princeton. The change has been met with outrage and, in some cases, mockery from Harvard students and alumni. "I don’t think the change was warranted at all. There’s no real connection between the house master title and slavery that anyone has been able to come up with," Idrees Kahloon, a senior at Harvard, told the Washington Free Beacon on Thursday. "Administrators are removing a title that’s been in existence for more than 100 years on the basis of emotion and supposed offensiveness. I don’t think that bodes well." An editorial published in the Crimson following Khurana’s December announcement described the move as "misguided" and based on allegations not grounded in reality. "Students in favor of these changes claim the word ‘master’ is too closely associated with slavery for comfort. What then will come for master’s degrees, or Harvard’s board of overseers, is unclear," the editorial board wrote. Smith’s Wednesday email to staff, faculty, and students forecasted further changes in order to uphold "inclusion" at the university. "This title change isn’t an end to our community’s discussions of how to make Harvard and its culture more inclusive and welcoming to any student, faculty, or staff member with the talent and drive to be here, but just one action we have decided to take based on the ongoing dialogue and important discussions that will keep Harvard and its College strong now and into the future," Smith wrote. Harvey Mansfield, a Harvard graduate and professor of government at the university, poked fun at the decision in a letter to the editor published in the Crimson. "To aid in the furious thinking going on in the administration for a name to replace ‘Master’ of a House, I would like to propose a College competition to decide a suitable replacement. To start things off, I will offer two possible new titles: ‘Marshmallow’ and ‘Mouse,’" Mansfield wrote in January, before the new title was disclosed. "So as to avoid a sexual preference, both sexes should be content with the name ‘Co-Marshmallow’ or ‘Co-Mouse.’"
A Harvard alumnus similarly mocked the decision, applauding university administrators for making sure that "no words that sounded like words that had something to do with slavery would be used at Harvard." "I hope they will, however, reconsider the house dean title, given that the word ‘dean’ rhymes with ‘mean,’ and Harvard, having won this symbolic battle against slavery, could, in changing the title again, make a clear affirmation of anti-meanness," the alumnus told the Free Beacon on Thursday. "The university explicitly said in its announcement that there was nothing wrong with the old term ‘house master,’ but decided it’s time to change it anyway. It’s a supreme waste of time by highly-paid administrators," another Harvard graduate said. This is not the first time that Harvard administrators have been criticized for pursuing a politically-correct agenda. The university was forced to apologize last December after administrators distributed placemats promoting political opinions about racially-charged protests at Yale University, the decision to scrap the "house master" title, and other issues. The placemats, intended to promote "social justice," were ridiculed by students. This entry was posted in Issues and tagged University. Bookmark the permalink.